The computer company known for making products for gamers is taking a shot at the mobile tech world. “ Razer today unveiled the Razer Phone, an Android smartphone with groundbreaking audiovisual technologies and processing muscle that takes personal entertainment to the next level. Partnerships with Game Devs like Square Enix and Namco to bring games like Final Fantasy XV Pocket Edition and Tekken. 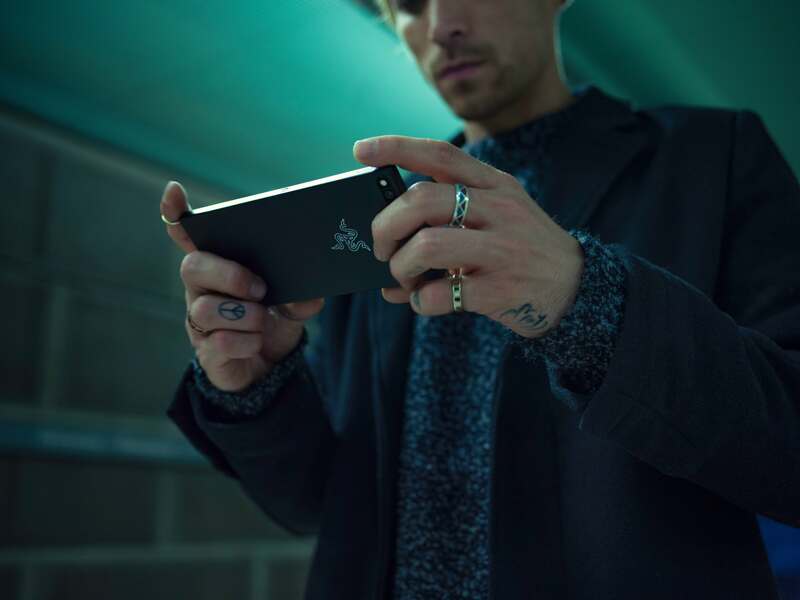 The thought of getting my hands on a Razer branded smartphone has me excited. While the excitement is there, I do have my reservations. First off the price, the MSRP in the United States is $699.99. That is the price of your typical flagship smartphone from year to year, but I feel like Razer should have been Bolder and started at $549 - $599. While this devices does have killer features like 120Hz refresh rate and 4000mAh battery, you can pick up a Samsung S8 or 8+ for around the same price. Plus with the 8 or 8+ you will get streamlined features like Wireless Charging, Headphone Jack, and waterproofing. In all honesty I’m conflicted; the gamer in me is screaming get this phone while the other half is saying hold off.